IRS has issued an updated version of Form 656-B, the "Form 656 Booklet, Offer in Compromise." 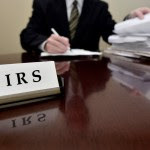 It includes updated versions of the various forms required when a taxpayer wishes to have IRS accept his offer in compromise (OIC). Eligibility. Submitting an application does not ensure that IRS will accept the OIC. To be eligible, the following conditions must be met: (1) file all tax returns legally required to file; (2) have received a bill for at least one tax debt included on the offer; (3) make all required estimated tax payments for the current year, and (4) make all required federal tax deposits for the current quarter, if a business owner with employees. Trust fund taxes. If the business owes trust fund taxes, responsible individuals may be held liable for the trust fund portion of the tax. Trust fund taxes are the money withheld from an employee's wages, such as income tax, Social Security, and Medicare taxes. A business is not eligible for consideration of an OIC unless the trust fund portion of the tax is paid or the trust fund penalty determination(s) has/have been made on all potentially responsible individual(s). However, if submitting the OIC as a victim of payroll service provider fraud or failure, the trust fund assessment is not required prior to submitting the offer. If individual and business tax debt is owed. If there is individual and business tax debt that a taxpayer wishes to compromise, the taxpayer needs to send in two Forms 656. Taxpayers should complete one Form 656 for their individual tax debts and one Form 656 for their business tax debts. Each Form 656 will require the $186 application fee and initial payment. A business is defined as a corporation, partnership, or any business that is operated as other than a sole-proprietorship. An individual's share of a partnership debt will not be compromised. The partnership must submit its own offer based on the partnership's and partners' ability to pay. Form 433-A (OIC), Collection Information Statement for Wage Earners and Self-employed Individuals. IRS has announced that using previous versions of the forms may result in delayed processing of OIC applications. The booklet also instructs taxpayers to use IRS's OIC Pre-Qualifier Tool to confirm that they are eligible for an OIC and to calculate a preliminary offer amount.